In 1702, fourteen years after she helped oust her father from his throne and deprived her newborn half-brother of his birthright, Queen Anne inherited the crowns of England and Scotland. Childless, despite seventeen pregnancies that had either ended in failure or produced heartrendingly short-lived offspring, in some respects she was a pitiable figure. This poorly educated and chronically shy invalid seemed ill-equipped to take on the responsibilities of sovereignty, but against all expectation she proved Britain’s most successful Stuart ruler. Her reign was marked by many triumphs, including Union with Scotland and glorious victories in war against France. Yet even while her great general, the Duke of Marlborough, was performing feats of military genius on the continent, Anne’s relationship with his wife Sarah was becoming ever more rancorous. Political differences partly explained why the Queen’s earlier passionate adoration for this wilful and outspoken woman transformed to loathing, but Sarah precipitated the final rupture with the startling claim that, despite Anne’s ostensibly happy marriage, it was the Queen’s lesbian infatuation with another lady-in-waiting, Abigail Masham, that had destroyed their friendship. Having lost the will to continue a ruinously expensive war that the Marlboroughs and their political allies favoured, the Queen changed her ministers and embarked upon a peace process that some condemned as dishonourable. Drawing widely on unpublished sources, Anne Somerset vividly depicts the clashes of personality, party rivalries and backstairs intrigues that aroused such strong feelings at the time, and made politics so contentious. Traditionally depicted as a weak ruler dominated by female favourites and haunted by remorse at having deposed her father, Queen Anne emerges rather as a woman whose great good sense and unshakeable commitment to duty enabled her to overcome private tragedy and painful disabilities, setting her kingdom on the path to greatness. Anne Somerset was born in 1955 and read history at King’s College London. In 1980, her first book, The Life and Times of William IV, was published in Weidenfeld & Nicolson’s Kings and Queens of England series. This was followed in 1984 by Ladies-in-Waiting: From the Tudors to the Present Day, which examined the role of women at the English royal court over four centuries. In 1991 Anne Somerset’s biography of Elizabeth I was received with acclaim on both sides of the Atlantic. Her next book, Unnatural Murder: Poison at the Court of James I – an account of the sensational scandal arising from the murder of Sir Thomas Overbury in 1613 – was shortlisted in 1997 for the Crime Writers Association Gold Dagger award for non-fiction. The Affair of the Poisons: Murder, Infanticide and Satanism at the Court of Louis XIV was another well received study of seventeenth century criminality and court scandal. 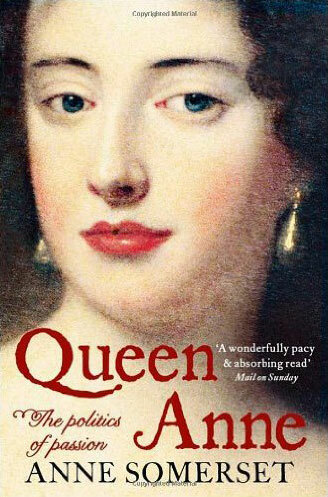 Anne Somerset’s most recent work is a biography of England’s last Stuart monarch, entitled Queen Anne: The Politics of Passion. 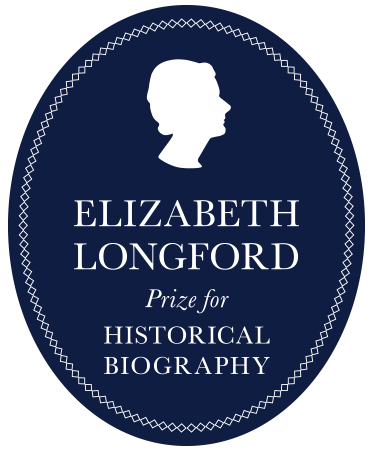 This has been awarded the 2013 Elizabeth Longford Prize for Historical Biography.